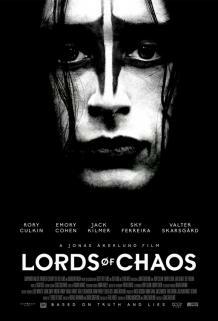 “Lords of Chaos director Jonas Åkerlund knows this scene. In the early ’80s, he co-founded the Swedish metal band Bathory, then made his way to America to shoot ground-breaking music videos for everyone from Rammstein and Prodigy to Lady Gaga and Madonna. He’s got range, and that comes through in this funny, occasionally frightening anthropological dramedy about how insecure boys hound each other to be really, really bad.